SHED + OFFICE FOR LEASE!! 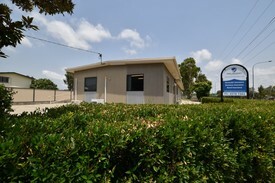 Very tidy shed and offices for lease. 152m2 shed with high sides. Handy to arterial roads. 3 Dedicated car parks are available. This is a very good property to upgrade to or start your business. LARGE SHED + HARDSTAND.. Price: OFFERS TO BUY OR LEASE CO..